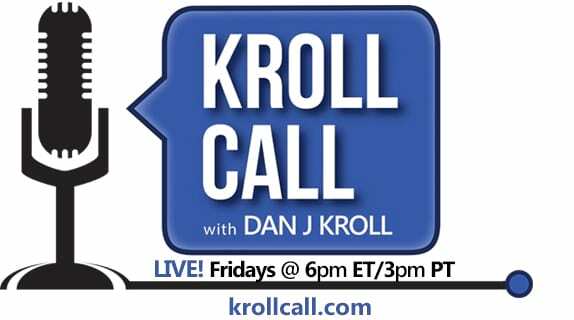 FRIDAY, NOVEMBER 28 (6pm ET/3pm PT) This week on Kroll Call, we step into the wayback machine to relive some of the best moments of music from the 1980s and 1990s. Tony nominees and real-life husband and wife Orfeh and Andy Karl join host Dan J Kroll to break out their cassingles and share their picks for Best Lost Hits of the 80s, Favorite Songs From 1985 to 1995, and Biggest Guilty Pleasures of the 1980s and 1990s. We challenge you not to sing along! This should be a great show! Looking forward to listening.